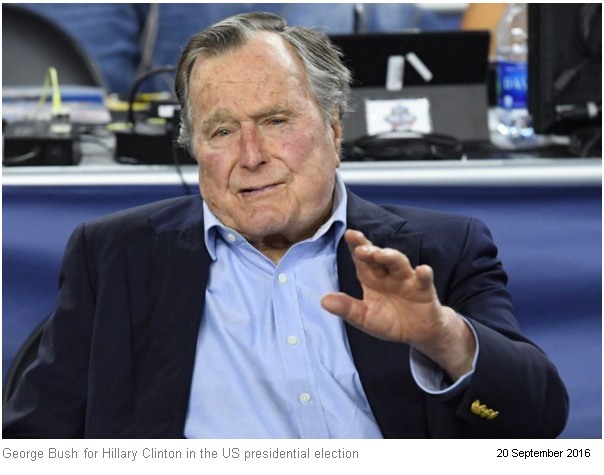 George Bush Sr passed away at 22:10 local time on Friday (04:10 GMT Saturday), a family spokesperson said. He served as the 41st US president between 1989 and 1993, his term defined by the end of the Cold War and the first Iraq war against Saddam Hussein. Bush's health had been failing in recent years but he still managed to make public appearances. In April, he was admitted to hospital with a blood infection but had since been discharged. President Bush died seven months after his wife, Barbara. So.. he finally moves on.. will there be another angel in heaven? maybe.. but not this guy surely? Be interesting if there is any dirt which comes into the open now he cant be tried for high crimes..
has died at the age of 94. 10pm on Friday, family spokesman Jim McGrath said. THE OL' FUCKER'S FINALLY POPPED HIS CLOGS!! No sympathy for JFK's killer. Warmongering psychopath. Today is a day of celebration in Hell as Satan welcomes home one of his favorites! Isn't that considered hate speech now? TutTut Fintan, you are literally worse than Hitler. Technically, yes - but it's not regular "hate speech". It's "hate the Bushes speech". grounds the Bushes are in fact truly evil fuckers." “His friendship has been one of the great gifts of my life,” Clinton said. Bush’s funeral in April. Trump did not, though first lady Melania Trump did. as they did the Tony Blair [TM] bait and switch. Gonna take a week to bury the f*kr. - Wednesday, DC, an 11 a.m. ET memorial service. - 2nd service at St. Martin's Episcopal Church at 11 a.m. ET Thursday. 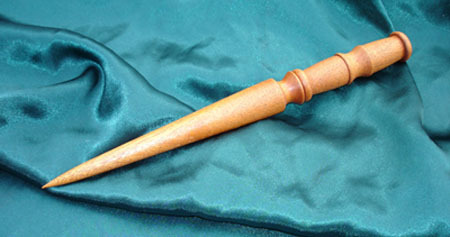 - Wooden stake heart ceremony to prevent demonic resurrection. Think of an acquaintance of yours. Not someone you’re particularly close to, just some guy in the cast of extras from the scenery of your life. Now, imagine learning that that guy is a serial murderer, who has been prowling the streets for years stabbing people to death. Imagine he goes his whole life without ever suffering any consequences for murdering all those people, and then when he dies, everyone wants to talk about how great he was and share heartwarming anecdotes about him. If you try to bring up the whole serial killing thing, people react with sputtering outrage that you would dare to speak ill of such a noble and wonderful person. George HW Bush systematically attacked the civilian infrastructure in Iraq. He turned hospitals into death rows for infants. He widely used depleted uranium, causing cancer rates to skyrocket. He made Iraq a mass graveyard. And the killing hasn’t stopped since. I remember feeling a deep sense of shame and anger when I visited the Amiriyah shelter in Iraq. George HW Bush killed more than 400 civilians huddled there on February 13, 1991. These are the crimes we should be discussing today. You turn on the TV, and it’s nothing but nonstop hagiography and adulation for this guy who you know was a serial murderer. Pick up a newspaper and it’s the same thing. On the rare occasions where they do mention his astonishingly high body count, they frame it as a good thing: he got the killing done quickly and efficiently. He helped our country get over its phobia of mass murder. Our streets sure are a lot cleaner without all those unwanted prostitutes and homeless people he butchered. “What the hell?” you think to yourself. “This guy brutally murdered a whole bunch of men, women and children for no good reason. We all know this. How come that isn’t the single defining thing about this man’s life that we’re all discussing right now? How surreal would that be? How weird would it feel to have all that death and destruction go either unmentioned or outright praised in discussing your acquaintance who perpetrated it? Of course, this will never happen. No random schmuck in your life will ever get caught committing a single murder, let alone many, without being punished and seeing it become the very first thing people think of whenever their name comes up. No, that sort of treatment is a privilege that is reserved only for the elites who rule over us. If a man kills a lot of people, then his legacy is that of a mass murderer. There is nothing else anyone could possibly accomplish in their lifetime which could eclipse the significance of the act of violently ripping the life out of thousands of human bodies. I don’t care if you started a charity, if you gave a graduation speech, or if you loved your wife very much. George HW Bush was a mass murderer. That is his legacy. That is what he was. Any discussion of the man’s life which does not put this single defining legacy front and center by a very wide margin is being dishonest about the thing that murder is, and is doing so out of fealty to a corrupt power structure which enables consequence-free murder on a mass scale as long as it happens in accordance with the will of that power structure. Whenever I hold my customary public “good riddance” social media celebration after a war pig dies, I always get people telling me they hope I die for saying such a thing. And of course I am aware that I am courting controversy by saying immediately after someone’s death that the world is better off without them, and hostile reactions necessarily come along with that. But I also think it says so much about people’s deification of these child-killing elites that simply being glad to see them leave this world, peacefully of old age and in their own homes, is seen as such an unforgivable offense that it deserves nothing short of death. I suppose that’s how high of a pedestal you need to place someone on above the ordinary people in order to see their acts of mass murder as insignificant little foibles instead of horrific atrocities which define their entire personhood. In the eyes of the thoroughly propagandized public, they are gods, as the nonstop fawning beatification of Poppy Bush makes abundantly clear. E. Howard Hunt and GHW Bush. Nixon Impeachment a CIA Coup. Hoover and FBI JFK warning memo. Secret service stole JFK's body. Hunt v. Spotlight libel suit. Hunt, the Cubans and the JFK hit. GHW Bush's Meeting with Hoover. The Skull & Bones and the CIA. CIA Use of Oswald in Russia. Was Oswald working for Hoover? the passing of GHWB.. .NOT. Better sixty feet under, but six feet under will do. Today is Pearl Harbor day..
FDR and Churchill are sharing a "toast" in Hell, having just welcomed the new arrival GHW Bush!